College football coaches are among the highest paid coaches in the nation. Some even make more than their NFL counterparts. Nick Saban is the highest paid coach in college. 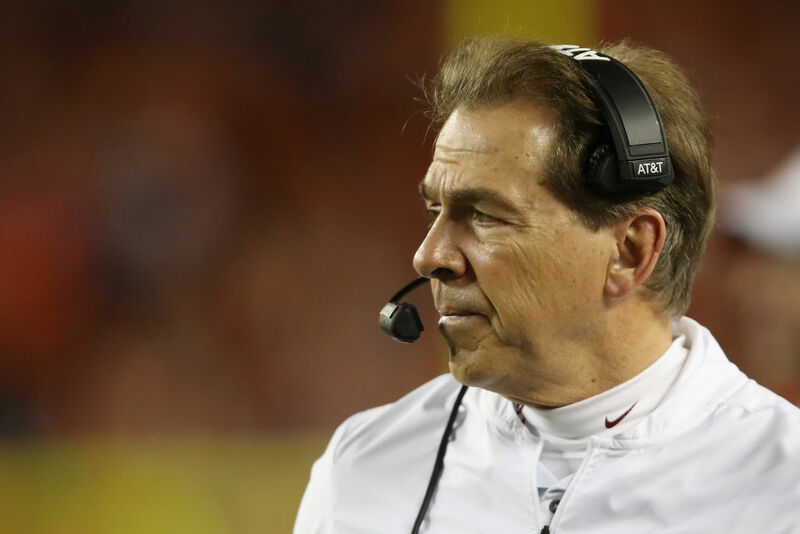 Saban’s $8.3 million a year salary at Alabama would also easily make him one of the highest paid coaches in the NFL. Of course, with a track record for winning championships like his, it’s hard to say to hasn’t earned it! We’ll let you decide if the rest of the coaches on this list have earned their high salaries, too. Before we talk about everyone else, let’s look at how Saban earned his massive payday with Alabama. Since taking over the program in 2007, Saban has won five National Championships. His overall record at the school is a mind boggling 141-21! Since 2011, no Crimson Tide team Saban has coached has lost more than two games. All he does is win, and he’s doing it at one of the most prestigious schools in the nation. The school is so in love with Saban, that on top of his salary, they also found a way to pay off his $3 million mortgage in 2014. 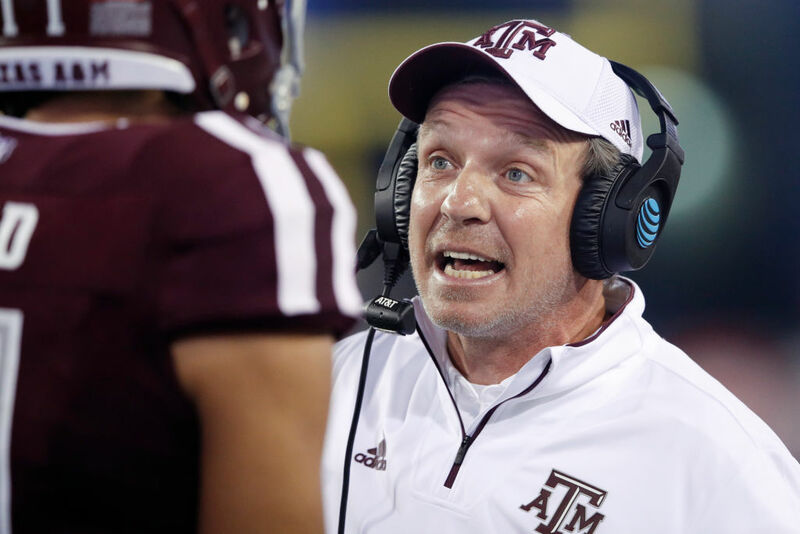 Read on to find out how much Jimbo Fisher is pulling in. 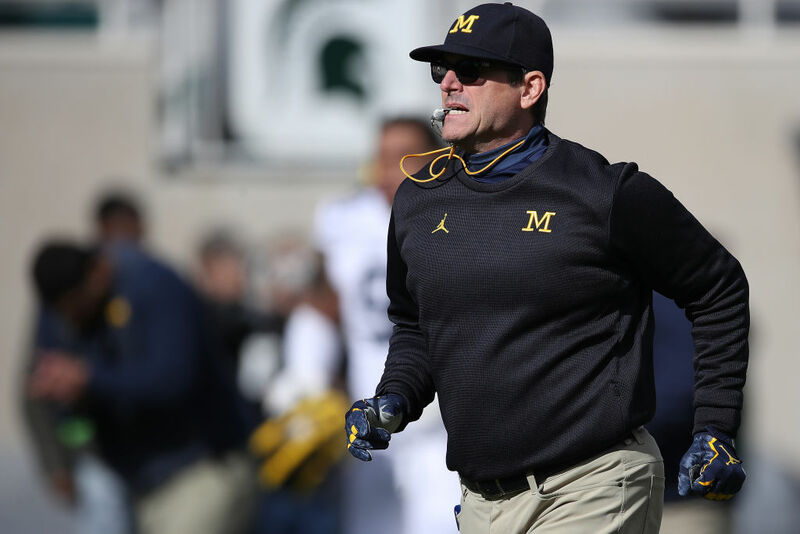 Head Coach Jim Harbaugh is actually getting paid more by Michigan than he ever did in the NFL. He made $5 million a year as the head coach of the 49ers. When he and the team agreed to "mutually part ways," his alma mater made him an offer he couldn’t refuse. The signing of Harbaugh in 2015 came with high expectations. He was supposed to rejuvenate the once-proud program. He has mostly come through, although the Wolverines are still waiting to get into the college football playoff. Up next, the highest paid coach in Texas history! 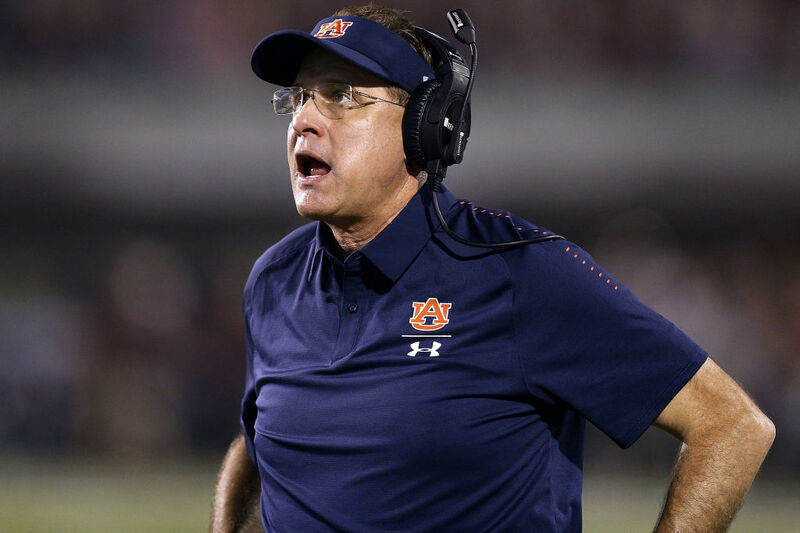 Gus Malzahn has had an up-and-down tenure at Auburn. His first season as the team’s head coach was a smashing success. The Tigers went 12-2 and won the National Champions. The next season they went 8-5, and followed that up in 2015 by going 7-6. The 2017 season saw Auburn return to form under Malzahn. The school went 10-4 and he was rewarded with a seven year contract extension. His first year with his new salary, however, ended with a disappointing 8-5 record. Still ahead, do you know who the $6.6 million head coach of Georgia is? Kirby Smart has had a tremendous run as the head coach for the University of Georgia. In three years he has gone 32-10, and led the team to the brink of National Championship twice. In 2017, the team actually faced off against Alabama in the final game, losing a heartbreaker in overtime. Before taking over at Georgia, Smart worked under Saban at Alabama as the school’s defensive coordinator. Oddly enough, it’s been his offenses that have stood out in Georgia. In 2017 and 2018 the team averaged more than 35 points a game. 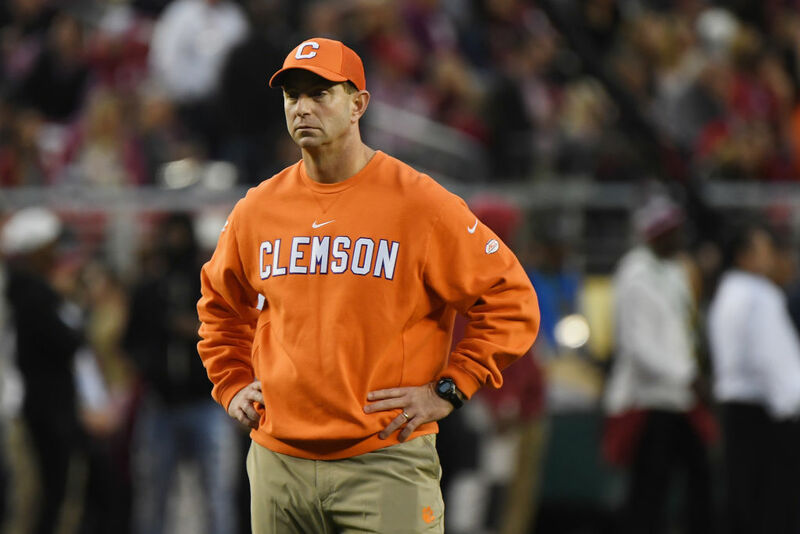 Dabo Swinney might be underpaid at Clemson. In 2018, his Tigers tore Nick Saban’s Crimson Tide apart in the National Championship. Before the loss, Alabama was undefeated. Unfortunately for them, so was Clemson, the only team could stand un-scarred at the end of the game. Before becoming the head coach of Clemson in 2009, Swinney was an assistant on Tommy Bowden’s staff. Bowden was fired after a 3-3 start to the 2008 season and the school named Swinney the interim head coach. Swinney never looked back. 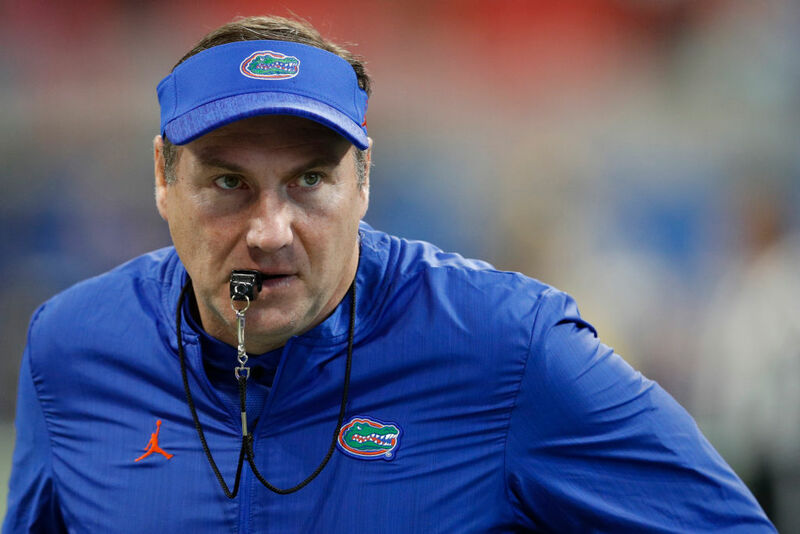 In his first season as the Florida Gators coach in 2018, Dan Mullen went 10-3. The high-paying contract he signed the year prior has paid dividends early and might surprise people who followed his unspectacular nine-year career at Mississippi State. In those nine seasons, Mullen went 69-46. He dominated outside of his conference, but fell short against them, going 33-39. His teams were nationally ranked three times. It also doesn’t hurt his resume that he coached the Cowboys starting quarterback Dak Prescott. The coach who turned Houston’s program around is next! 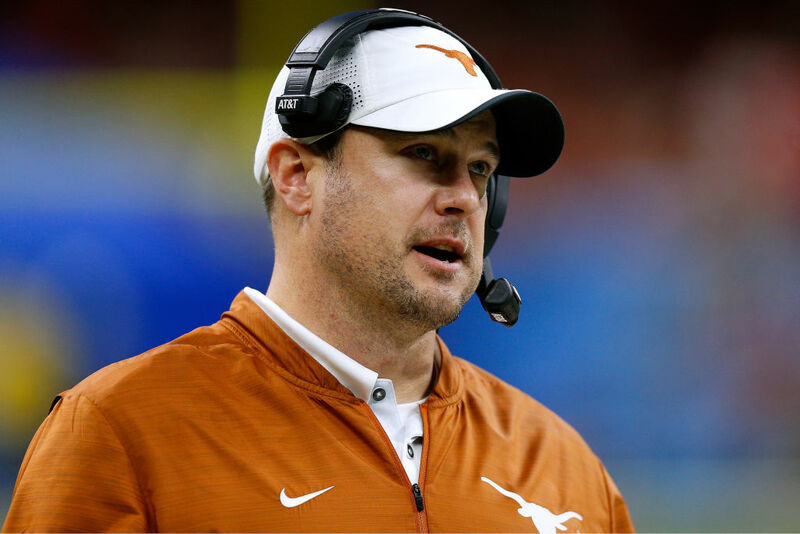 Tom Herman was handed a high priced contract in 2016 from the University of Texas after resuscitating Houston’s football program. In 2015 with Houston, Herman led the team to a 13-1 record. They ended the year as the eighth-ranked team in the nation. It was the first time since 1979 that Houston achieved a top ten ranking. He was praised for returning the school to glory. In two years, he went 22-4 with the Cougars and was undefeated on his home turf. If Texas didn’t steal him away, another school would have. 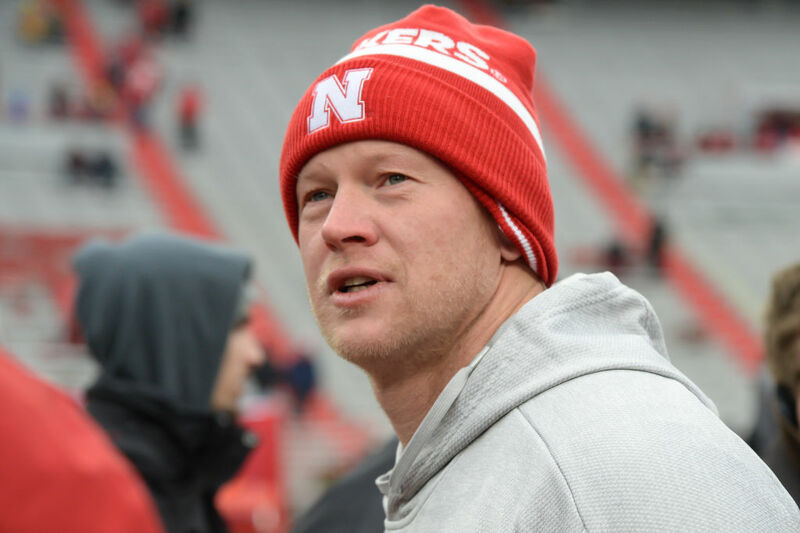 Like Tom Herman, Scott Frost was always going to be pulled away from one college football program to another. From 2016 to 2017, Frost was the head coach of the University of Central Florida. He coached the team to a perfect 13-0 in 2017 and got the attention of Nebraska. His first season at Nebraska was a letdown. When a school pays a coach $5 million, they expect him to win right away. Frost went 4-8, going 3-6 in conference play. With his track record for success, the upcoming season should flip the narrative. Mike Gundy was handed the head coach job at Oklahoma State when Les Miles left for another job in 2004. Gundy was Miles offensive coordinator and the decision to make him Miles successor was easy. In 14 seasons, he’s only had one losing season. 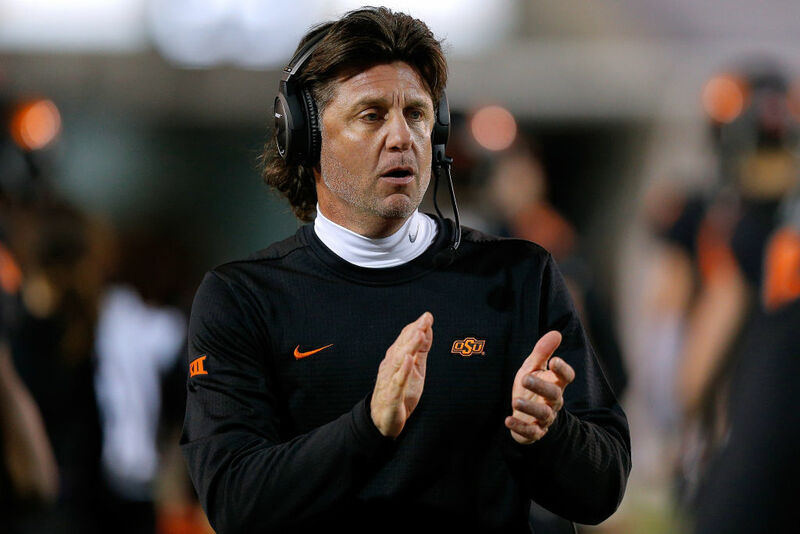 If there is one thing that has eluded Gundy during his tenure, it’s that he has never won a National Championship. He has won the Big 12 Championship once but has never been able to hold the College Football Playoff National Championship Trophy over his head. Coming up, a coach who jumped around several colleges before landing at Florida State! For Willie Taggart, the fourth try was the charm. He got his first head coaching job in 2010 with Western Kentucky. Three years later he moved onto South Florida. He stayed there for four years before taking over at Oregon. 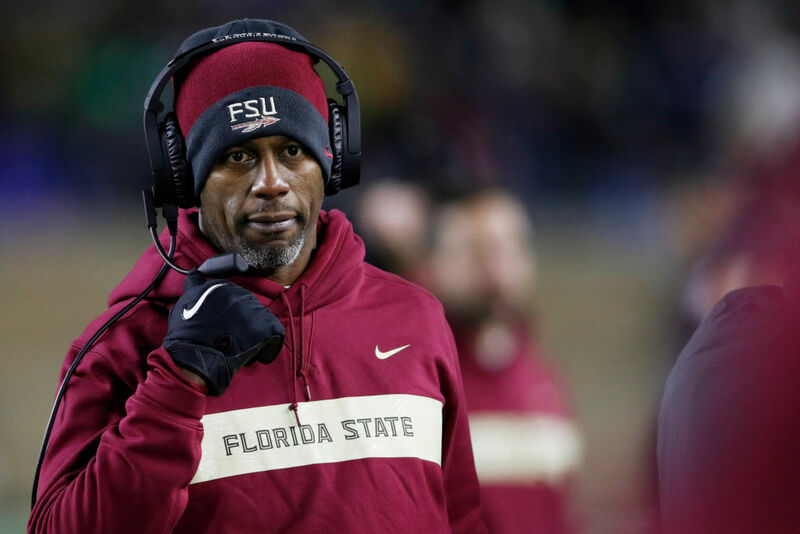 Finally, in 2018, Florida State offered Taggart $5 million a year to be their head coach. He went 5-7 his first season working to rebuild the program. Overall, Taggart has a 52-57 record as a head coach in the NCAA. Lovie Smith accomplished just about everything he could in the NFL as the head coach of the Chicago Bears for a decade. 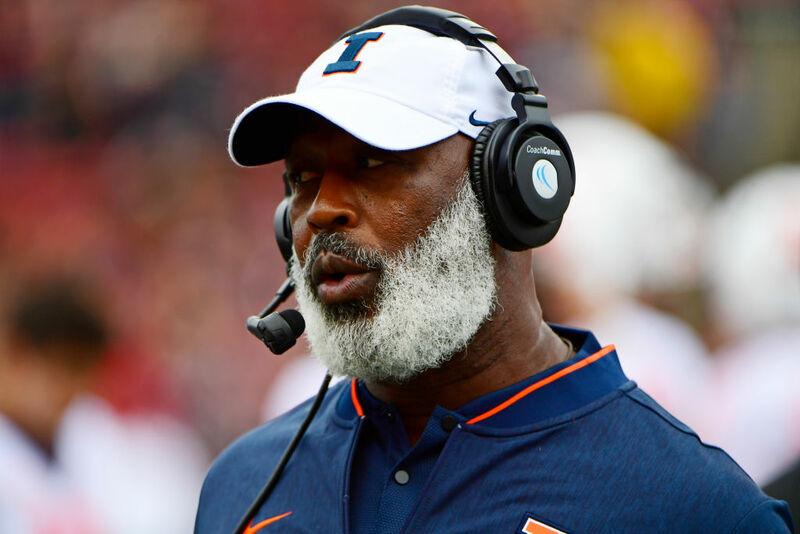 After two years with the Buccaneers, Smith decided to go back to college ball and took the head coaching job at the University of Illinois. His first three seasons in Illinois were not good. He led the team to a 9-27 overall record. The 2018 season was his most successful campaign, and the team went 4-8. If he wants to stick around, he will need to start winning as he did in the NFL. Coming up: you won’t believe Jimbo Fisher’s salary! 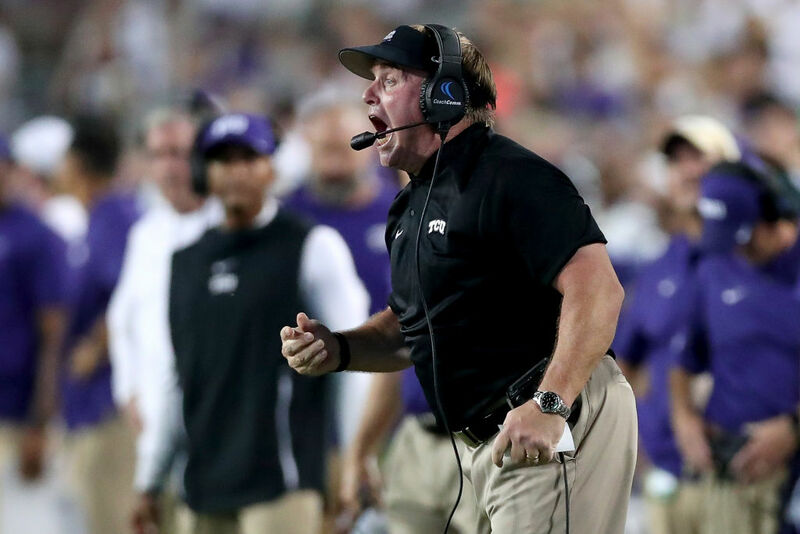 Gary Patterson has been a constant at Texas Christian University (TCU) since 2000. His run there has led to a 167-63 record. The only thing he’s missing is a National Championship ring. Patterson has won five conference titles, though, so no one at the school is complaining. Through his long career with TCU, Patterson has seen the school play in four different conferences. When he started, they belonged to the Western Athletic Conference. One year later they moved to Conference USA. In 2005, they moved to the Mountain West Conference. Seven years later the school settled into the Big 12 Conference. 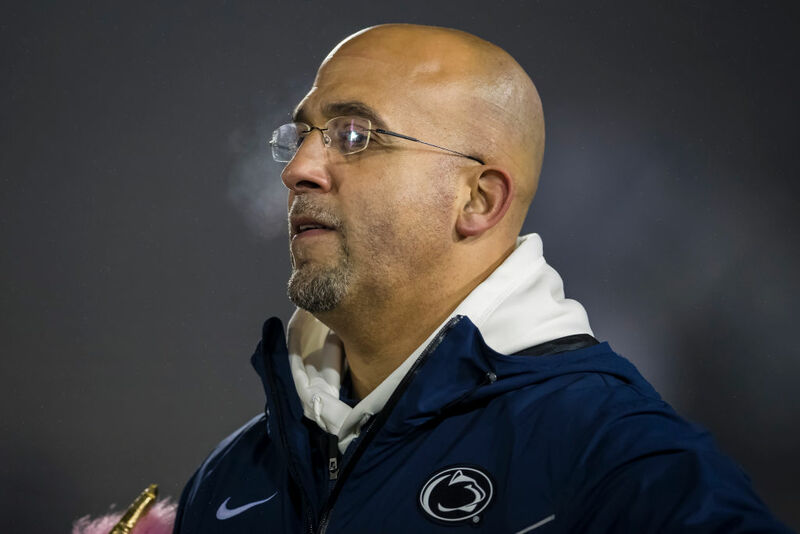 James Franklin had a tough task ahead of him when he signed his contract with Penn State. The school was still reeling from the Joe Paterno scandal and needed a strong personality to replace Bill O’Brien, who left the program to coach the Houston Texans. After taking, Franklin turned the school into an NCAA powerhouse. Every year under Franklin, Penn State has been seen as a National Championship contender. Give him enough time, and he’ll bring the trophy to Pennsylvania. Coming up, the man who made Baker Mayfield. 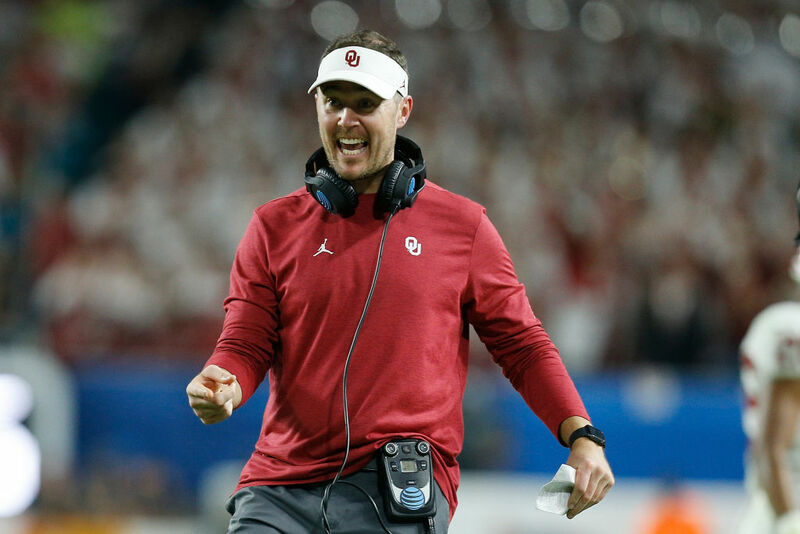 Lincoln Riley took over as the head coach at the University of Oklahoma in 2017 after Bob Stoops retired. In his first two seasons, Riley won 24 games and only lost four. It’s one of the best starts to a coaching career in history. It didn’t hurt that in his first season Riley had Baker Mayfield as his quarterback. Then, when Mayfield left for the NFL, Kyler Murray took his spot under center. With Murray gone in 2019 who will Riley find to replace him? When Jimbo Fisher made the decision to leave Florida State for Texas A&M, it was all about the Benjamins. His new school inked him to a massive 10-year, $75 million contract. While he didn’t prove much his first year at the helm, he has plenty of time to get it right. Of course, the school is confident in their investment. With Florida, Fisher only had one losing season. In 2013, the school went a perfect 14-0 and won the National Championship. Can lightning strike twice in College Station? 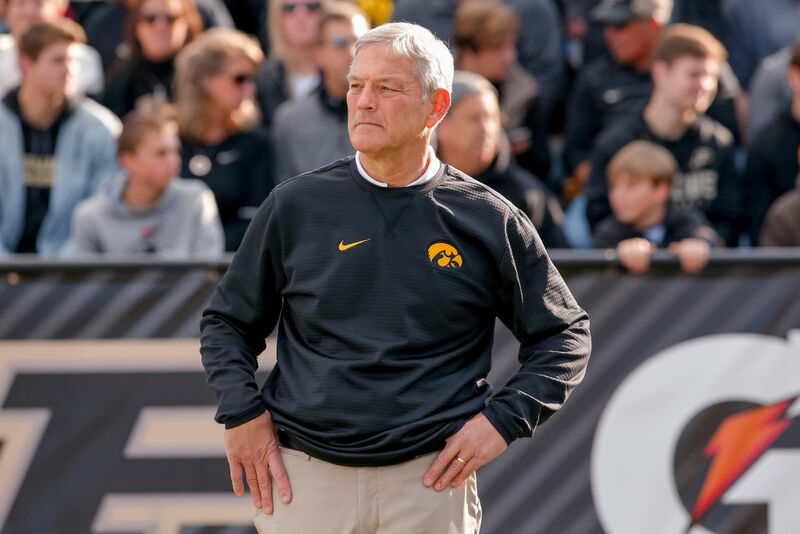 One of the longest-tenured head coaches in college football history, Kirk Ferentz has watched over the Iowa Hawkeyes since 1998. His first two seasons were disasters, but the tide turned in his third year. The team posted a winning record and won the Alamo Bowl. Ferentz is such an institution in Iowa it’s surprising he’s not higher on this list. He could easily be making more money at another school. After signing a ten-year extension in 2016, however, it’s clear there’s no place Ferentz would rather be. 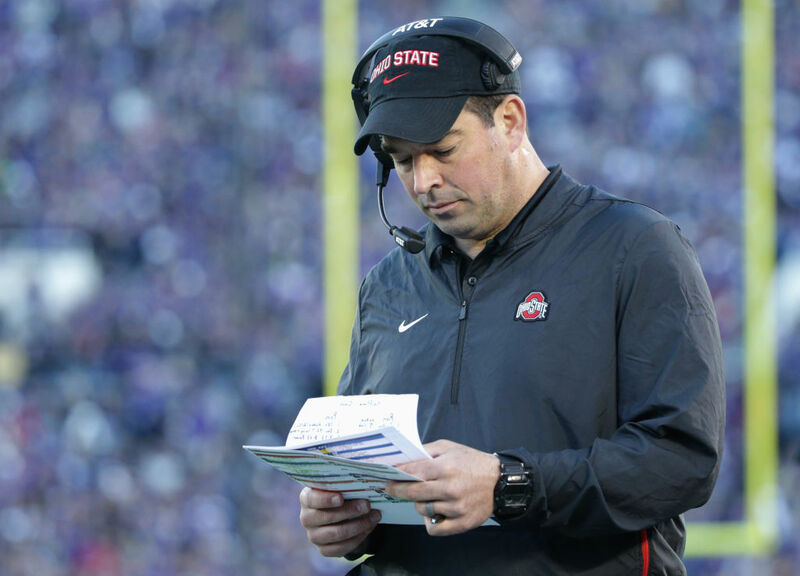 Ryan Day has big shoes to fill in Ohio. Announced as Urban Meyer’s replacement, Day will attempt to make the transition from highly regarded offensive coordinator to highly respected head coach. If anyone can do it, it’s Day. Meyer retired from coaching at the end of the 2018 season citing health concerns. It was the second time in his head coaching career he left a program to take care of his health. His salary was going to be $8 million, so handing over the reins to Ryan Day actually saves the school money. 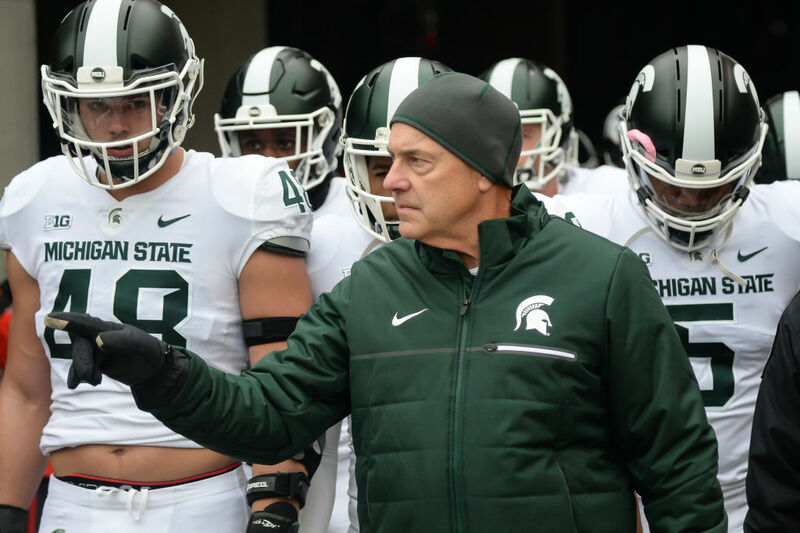 Another college football staple, Mark Dantonio has run the show at Michigan State since 2007. With an overall record 107-51, it’s unlikely he’ll be going anywhere for a while either. The only bad mark on Dantonio’s resume is his 2016 season, where the school went 3-9. In 2017, the school bounced back in a big way, going 10-3 and winning the Holiday Bowl. Dantonio’s best season by far was 2013, when the school went 13-1, won the Rose Bowl, and ended the year as the third-ranked team in college. Chris Peterson has never had a losing season as a head coach. In eight seasons with Boise State, Petersen went 92-12. The school finished a perfect 14-0 in 2009. In 2014, Washington managed to entice Peterson away from Boise. 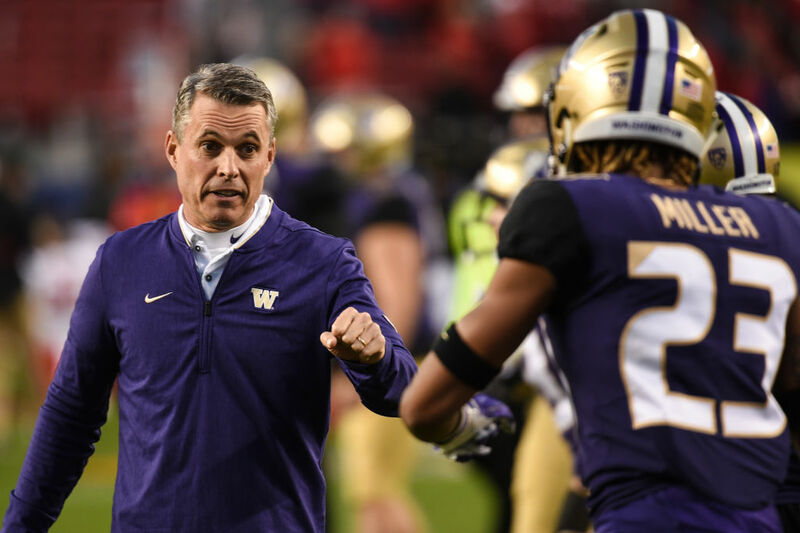 The 2016 season was the reason the University Washington coveted Petersen. The school went 12-2 and was ranked as the fourth best team in the nation. The ranking qualified them for the College Football playoffs, although they failed to make the National Championship game. 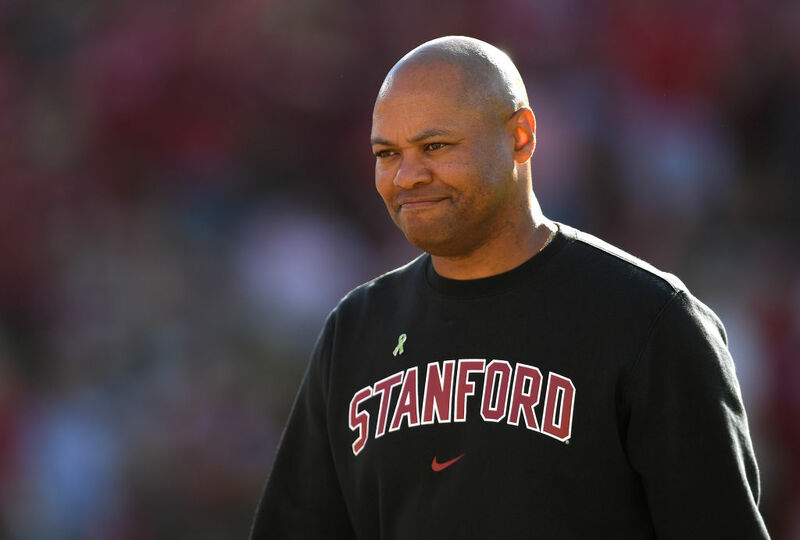 When Jim Harbaugh bolted Stanford to become the head coach of the San Francisco 49ers, David Shaw took over. In the years since, he has arguably been better than the man he took over for, although he earns quite a bit less. In his first eight seasons, Shaw went 82-26. He has won the Rose Bowl twice and never posted a losing campaign. Once considered a school that high school recruits actively tried avoid, Shaw has helped turn the Palo Alto university into a hot ticket program. 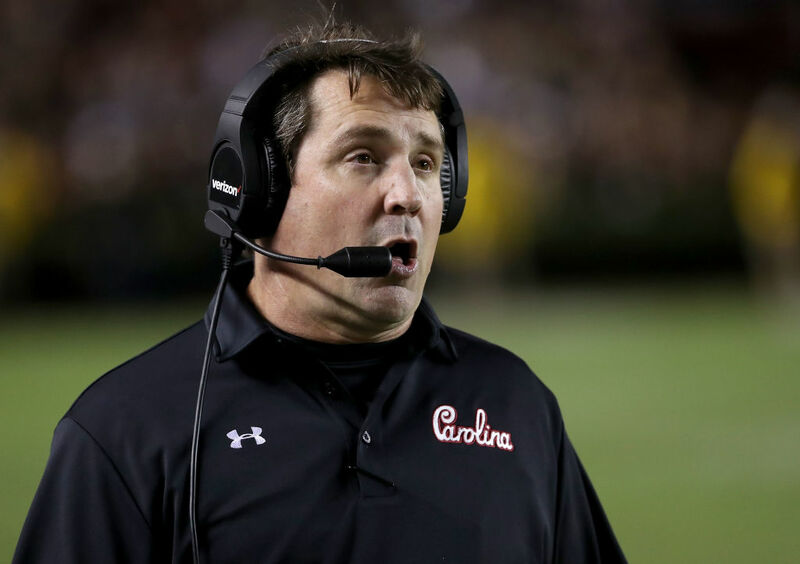 Will Muschamp is the head coach at South Carolina and is making a cool $4.2 million in 2019. He started his coaching career with Auburn in 1995, and took his most high profile job as the head coach of Florida in 2011. Muschamp’s coaching career tenure at Florida was underwhelming to say the least. He went 28-21, only winning more than ten games once. With South Carolina he hasn’t been much beter, despite the hefty contract. He has gone 22-17 in three years. 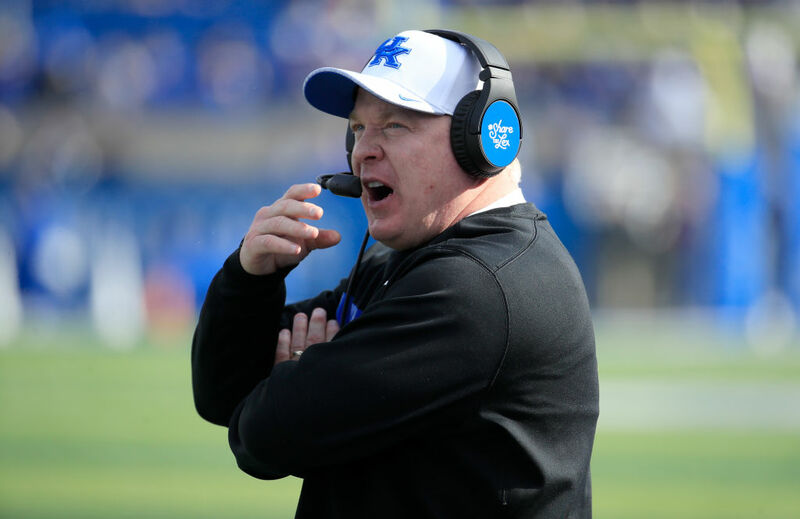 Mark Stoops has been the head football coach at the University of Kentucky since 2013. His first season there the team went 2-10. He followed that up with two straight 5-7 campaigns before finally posting a winning record in 2016. 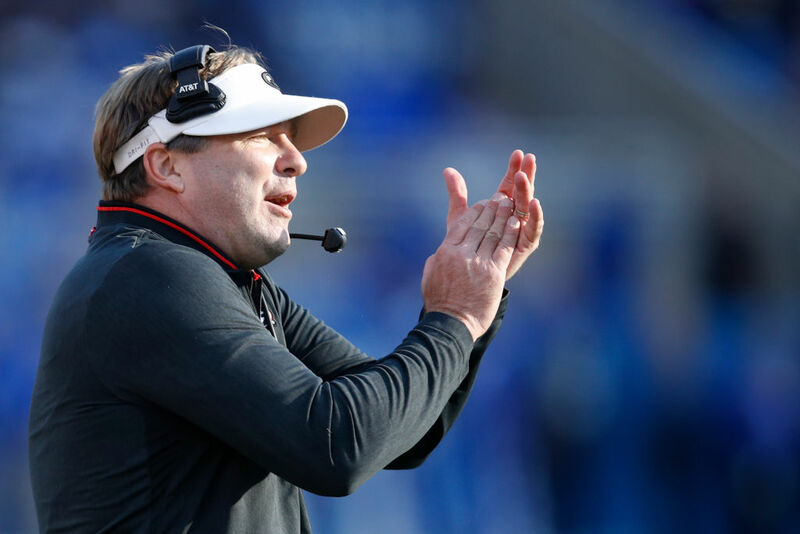 In 2018, Stoops’ team broke out big time with a 10-3 record. They were given a birth in the Citrus Bowl, winning easily. Most importantly, they finished as the 12th ranked team in a nation, a huge accomplishment for the coach that just keeps getting better. 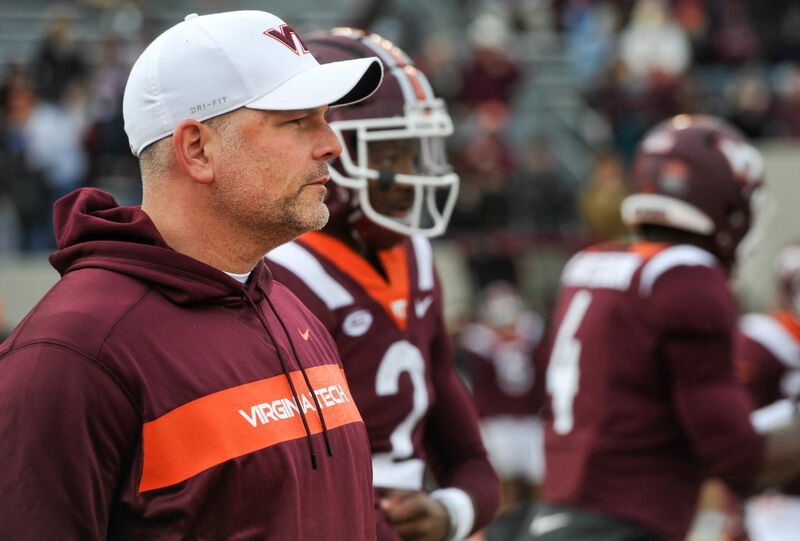 Justin Fuente has been the head coach at two universities. Memphis gave him his first shot in 2012, and it didn’t go well. Fuente went 4-8 and was barely brought back for a second season. Season two in Memphis was worse, seeing Fuente finish with a 3-9 record. He bounced back the next two years, going a combined 19-6. In 2016, Virginia Tech was more than happy to swoop Fuente up. In three years, he as gone 25-15, although 2018 was a don year with a 6-7 record. 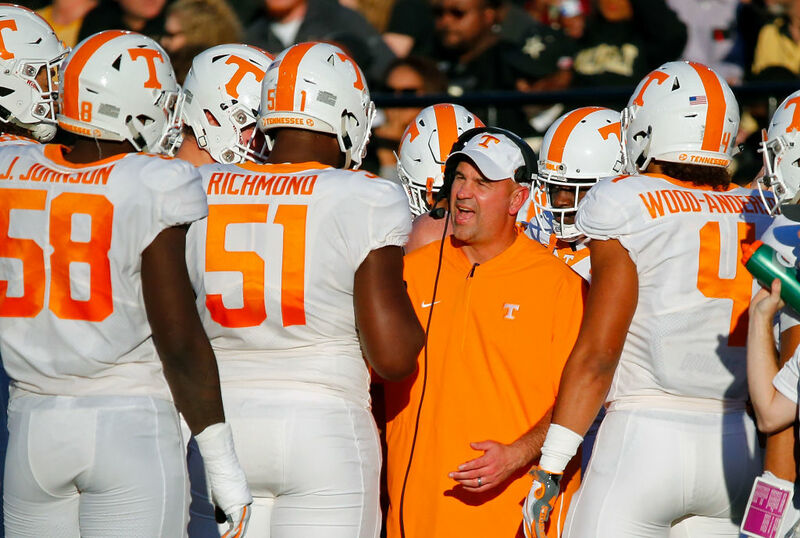 Jeremy Pruitt served his first year as the head coach of the University of Tennessee in 2018. He replaced former head coach Butch Jones, and led the team to a mediocre 5-7 record. Pruitt’s path to becoming a head coach was a long one, beginning with Alabama in 1997. From there her moved back and forth between college and high school, finally breaking through with Alabama again in 2007. One decade later he was finally given his chance at the big show, and only time will tell how he will do. Unlike several other coaches on this list, Jeff Brohm didn’t get his start in coaching as a college position coach. He was actually given his first head coaching job in 2002 for the Louisville Fire of the Arena Football League. Thirteen years after his one season in the AFL, Brohm became the head coach of Western Kentucky. 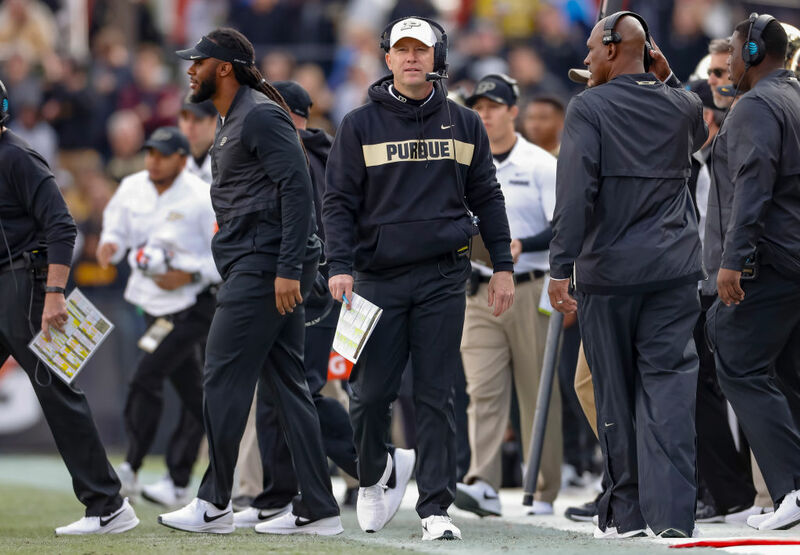 He went 30-10 in three years, and was an easy choice for Purdue when they had a head coach opening in 2017. In two season he has gone 13-13 and his seat is starting to feel hot. Kyle Whittingham has been the head coach at Utah for a long time. He replaced Urban Meyer in 2004 and has refused to let go since. In 15 seasons, Whittingham has only suffered through two losing seasons. Utah’s best season with Whittingham was 2008, when the team went a perfect 13-0. The finished the season ranked second in the nation on the AP poll and won the Sugar Bowl. Overall, he has gone 120-61, including 9-5 in 2018. 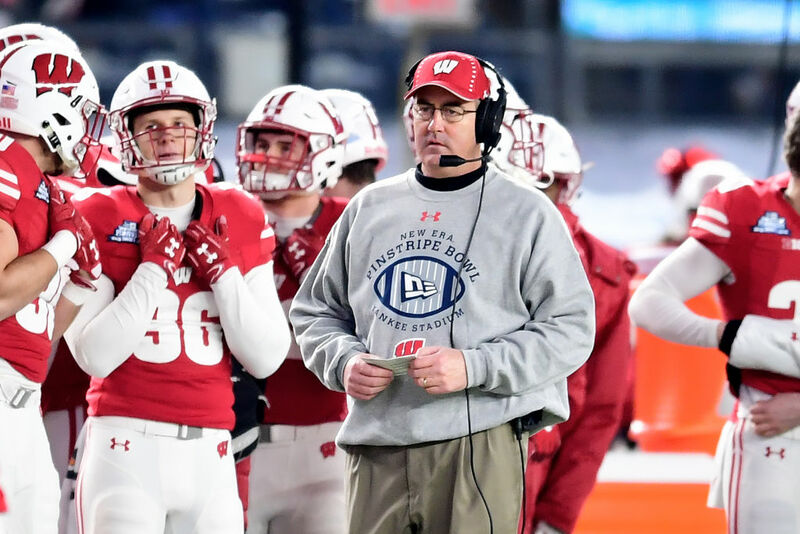 Paul Chryst is currently working as a head coach at his second university with Wisconsin. He first began in 2012 at Pittsburgh, where he went 19-19 in three years For whatever reason, Wisconsin decided that was good enough for them. So far, it’s safe to say Wisconsin was right. In his first year he went 10-3 and has ever lost more than five games. Never finishing a season with a losing record, Christ has gone 42-12 overall for Wisconsin. So far. 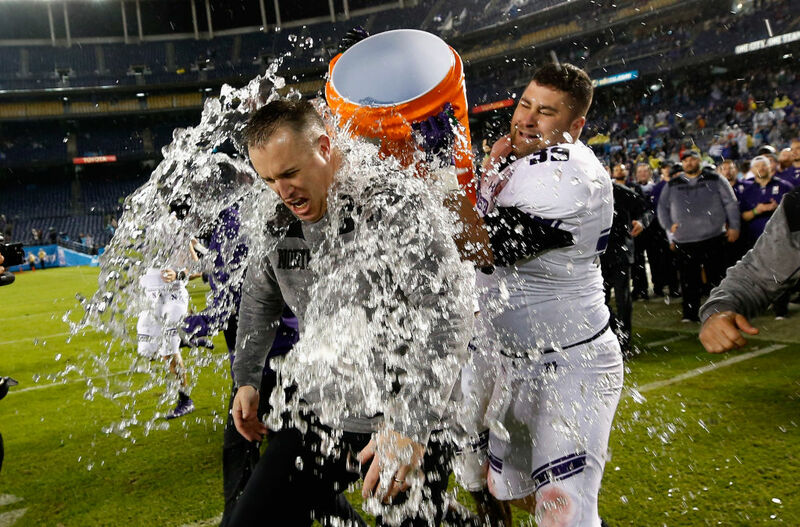 Pat Fitzgerald’s tenure with the NOrthwestern Wildcats began in 2006. He led the team to a less than stellar 4-8 record, which he followed up with a 6-6 record. His third year in 2008 was his breakout. The school finished a 9-4 record and earned a birth in the Alamo Bowl. Since then, he has won ten games twice, and has an overall record of 96-70. In 2019, he finished with a 9-5 record and a win in the Holiday Bowl. It won’t be long until Dana Holgorsen climbs up this list. 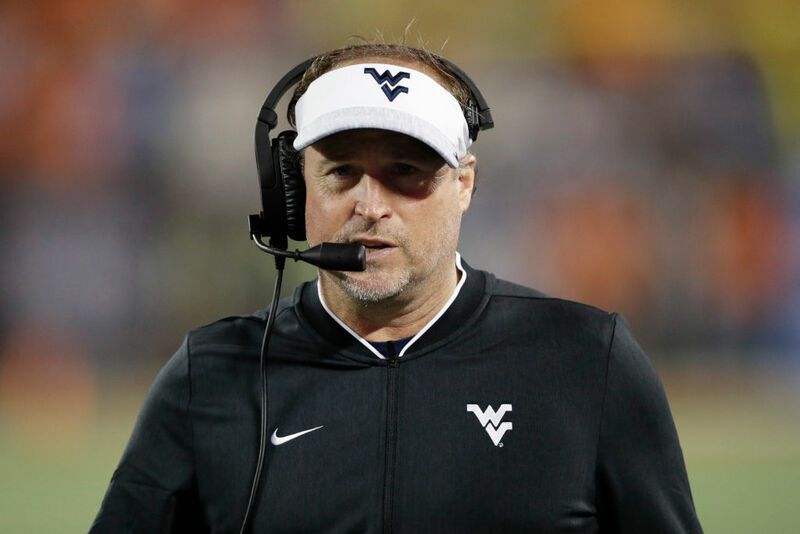 In his last year as the head coach at West Virgina, Holgorsen made $3.6 million. After the new year turned, Holgorsen left the school to take the head coaching job at the University of Houston. Holgorsen signed a five year contract with the university for $20 million. You can assume that means he will be getting $4 million a year, but contracts don’t always work that way, so until we know the specifics, Holgorsen will stay right here. 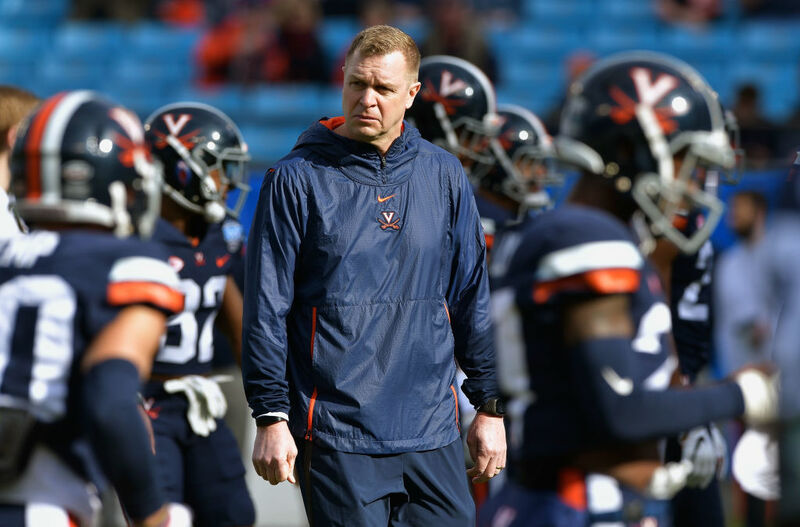 In 14 seasons as head coach in college football, Bronco Mendenhall has a 115-65 overall record. From 2005 until 2015, he led the BYU Broncos, going 99-43 and being nationally ranked five times. In 2016, Mendenhall became the head coach for the Virginia Cavaliers. His first season was a disaster. The school went 2-10. The next year they went 6-7 before finally posting a winning record in 2018. The 8-5 record officially took him off the hot seat. For now. For the last two seasons, P.J. Fleck has been the head coach for the Minnesota Golden Gophers. His first season he finished an unglamorous 5-7. The team bounced back in 2018, finishing 7-6. Before taking his talents to Minnesota, Fleck was the head coach at Western Michigan. 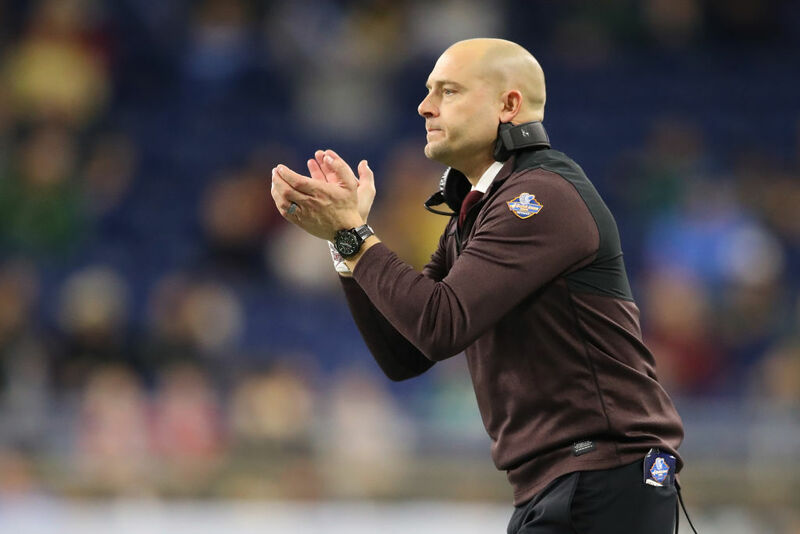 After going 1-11 in his first season, Fleck was lucky to get a second chance. In 2014, Western Michigan went 8-5, then 13-1 in his final year there, losing their only game in the Cotton Bowl. Chad Morris might not be on this list for very much longer. 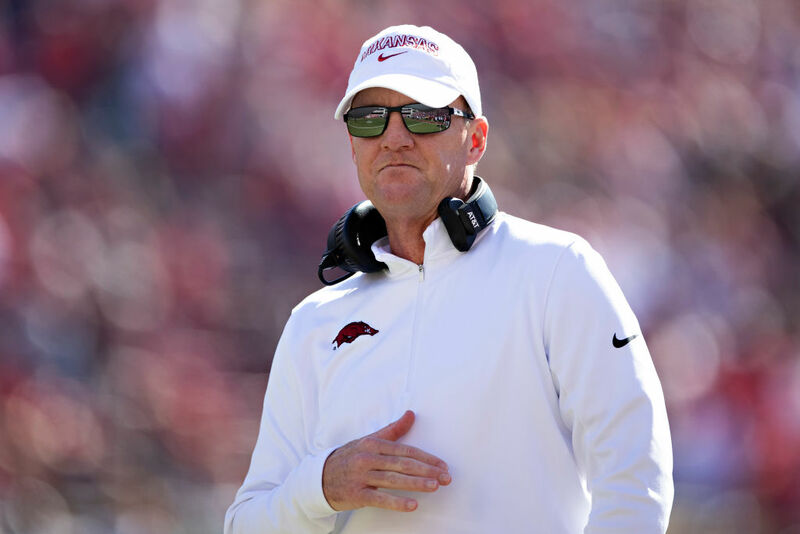 Making $3.5 million as the head coach of the Arkansas Razorbacks should come with wins. In his only season so far, Morris is 2-10. Prior to coming over to Arkansas, Morris was the head coach at Southern Methodist University. His first season, he went 2-10. His second season the team finished 5-7. In his third and final season, SMU went 7-5. Arkansas liked what they saw and stole Morris away. 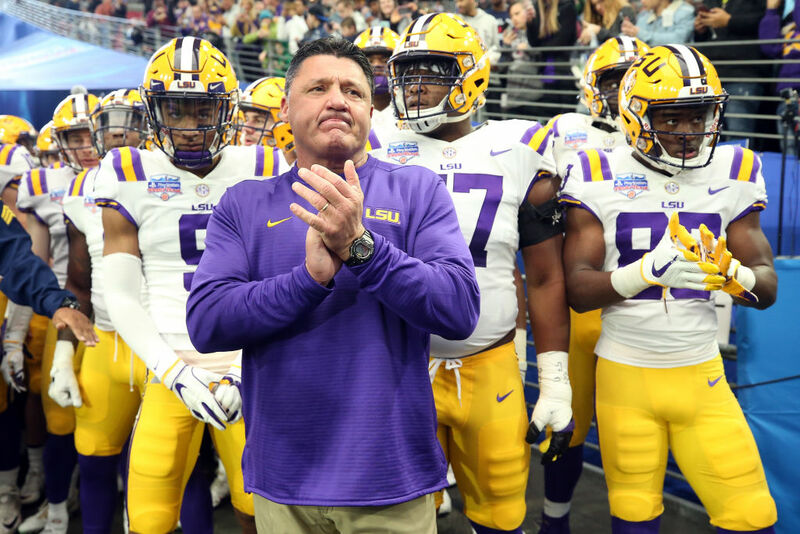 For Ed Orgeron, LSU is his third stop as a head coach. He was given his first shot in 2005 with Ole Miss. In three unceremonious years there, he went 10-25. In 2013, he became the interim head coach at USC, going 6-2. Despite the fan base wanting Orgeron to come back to USC, the school went in a different direction, opening the door for LSU. In 2016, they made it official, and have never looked back. Coach O has gone 25-9 with LSU, and is has been ranked every season. 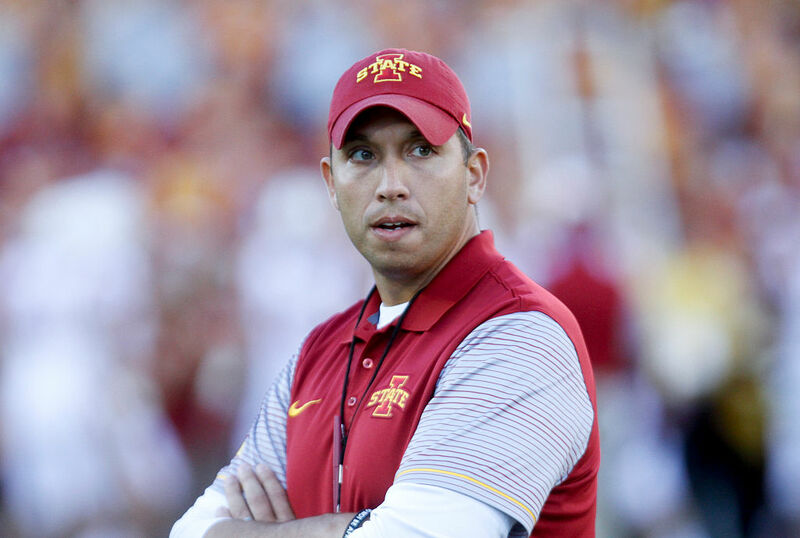 From 2011 until 2015, Matt Campbell was the head coach at Toledo. In his time there, the Rockets went 35-15. He never coached a losing season there, and finished his final season with a 9-2 record. In 2016, a bigger program at Iowa State came calling, and Campbell happily answered the call. In his first season, Campbell went 3-9. The next two years he went 8-5. As he continues, Iowa state will look for more success, from either national ranking or major bowl game. 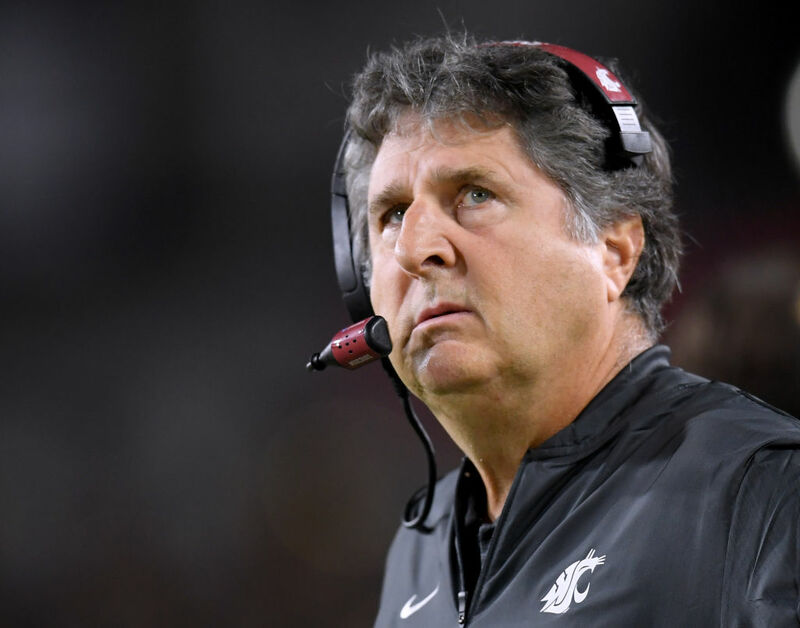 Mike Leach has been a head coach for a long time. He was hired in 2000 by Texas Tech. He spent ten years there, going 84-43 before being fired for controversial discipline techniques. In 2012, Washington State took a chance on the embattled coach. The school wanted to became powerhouse in their conference. After three straight losing seasons, the Cougars broke through in 2015, finishing the year 9-4. They have not had a losing season since. Chip Kelly might have the most interesting head coaching career of anyone on this list. In 2009 he took over the program at Oregon and was an instant success. Using advanced conditioning and fast paced play, Kelly wet 46-7 with the Ducks. With so much quick success, the NFL took notice. The Philadelphia Eagles hired Kelly, where he lasted for three seasons. He spent one more year in the NFL with the 49ers before going back to college. 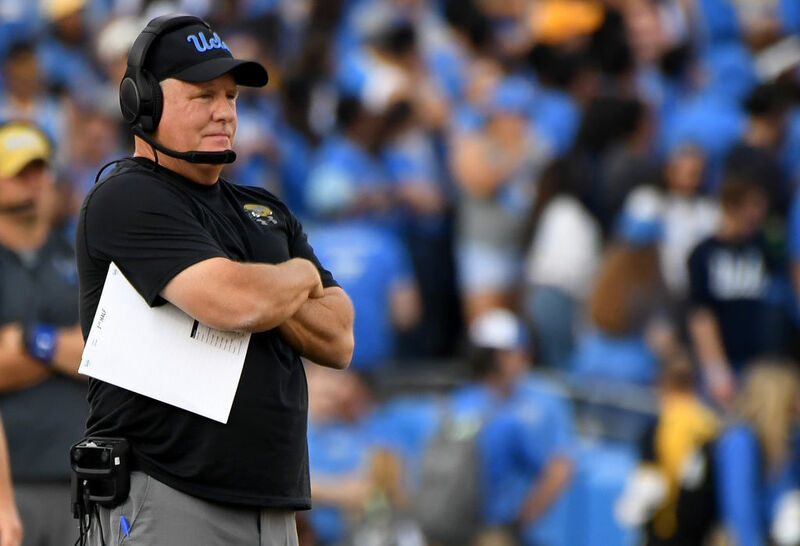 In 2018, Kelly was hired by UCLA and went 3-9 in his first year. 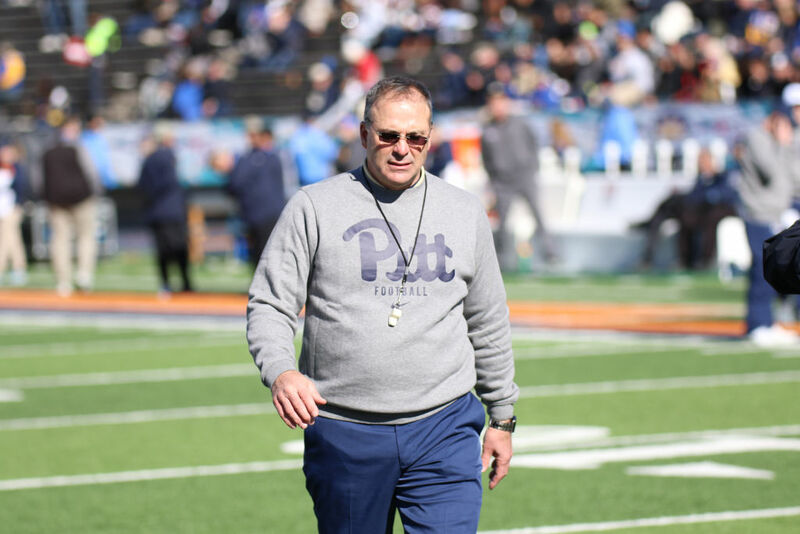 Pat Narduzzi took the job as the head coach at Pittsburgh in 2015. His first season was a huge success. He went 8-5 and earned a birth in the Military Bowl. The next season saw continued success, with a birth in the Pinstripe Bowl. Since then, Narduzzi’s luck has run out a bit. After two straight bowl bids, Pittsburgh went 5-7. This last season the school went 7-7, losing the Sun Bowl. In his four years, Narduzzi has earned three bowl berths, losing each match. In six seasons with the NC State Wolfpack, Dave Doeren has gong 43-34. He has only posted a losing season once, his first. Then again, he has never won more than ten games in a season at his current school. 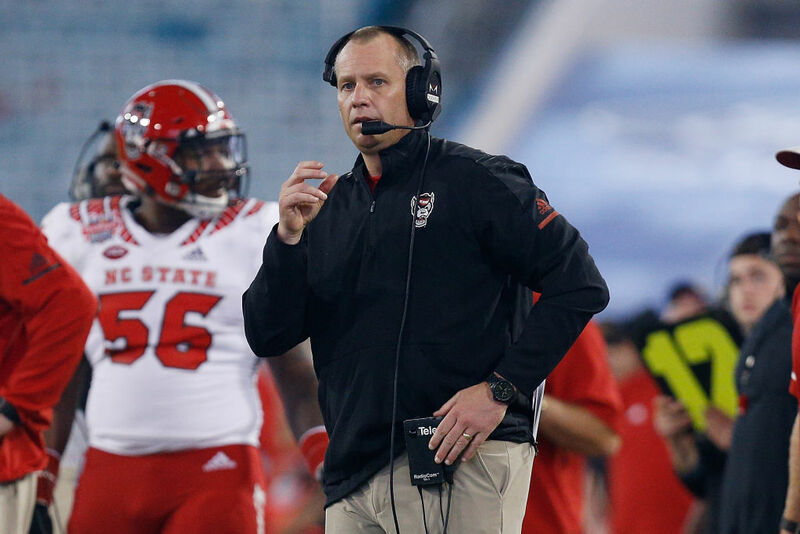 Before coming to NC State, Doeren was the head coach at Northern Illinois. In two seasons there he went a spectacular 32-4, even finishing the 2012 season with national ranking of 22. He has never ended a season with a higher rank. 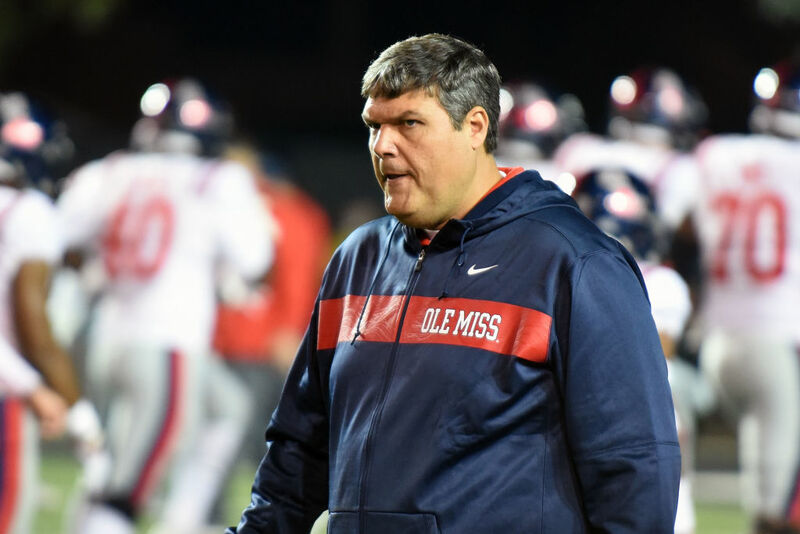 Matt Luke has only ever been a head coach at Ole Miss. He was hired in 2017, and went 6-6 in his first season. In 2018, he went 5-7, but failed to make an impact in his conference, going 1-7. Before being hired by Ole Miss, Luke worked as an assistant coach for several programs. In 2017, when Ole Miss fired their head coach mid seasons, Luke took over on interim basis. He has finished sixth place in his conference both seasons. 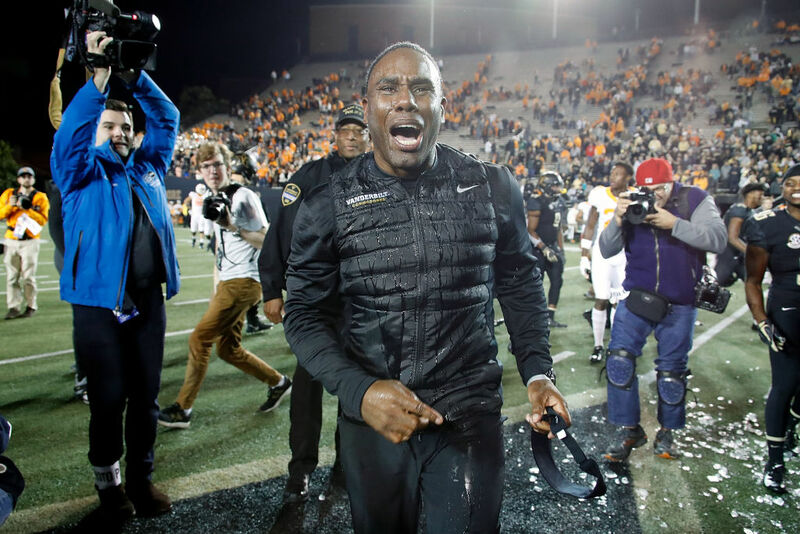 Derek Mason has been the head coach at Vanderbilt University since 2014. In that time, he has never posted a winning record, and has not yet been fired either. He best finished was in 2018, when he led the school to a 6-7 record. Mason began his coaching career in 1994 at Mesa Community College working with the wide receivers. One decade late, Ohio hired him in the same position. In 2010, Mason was hired by Stanford, continuing to buffer his resume before finally being given his current shot with Vanderbilt.